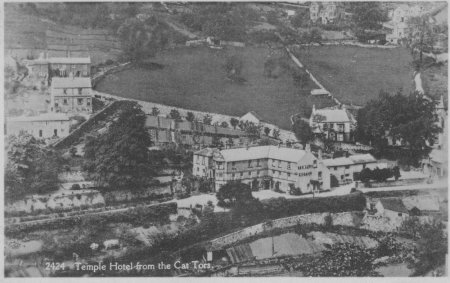 The Temple Hotel is perched on the hillside overlooking Matlock Bath and the Derwent Valley below. 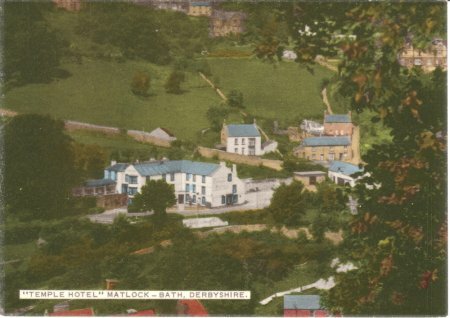 Dating from 1750, the mainly Georgian building originally served as an annex for the old Matlock Bath Hotel. Several famous people stayed here, including Princess Victoria (before she became Queen) and the poet Lord Byron. Their names are etched on one of the windows of the hotel - historical grafitti! 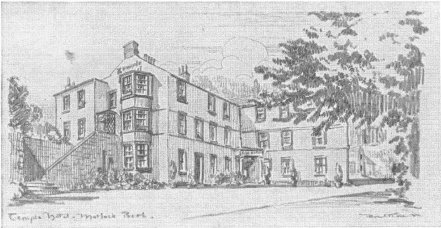 Drawing of Temple Hotel, Matlock Bath.